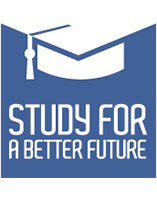 International students can apply for a place in the Erasmus mobility program. From the second year in the University (BMC year excluded), excellent students may apply for a scholarship that may reach 20% of the tuition fee. The Registrar’s Office will automatically forward the results of the students who achieved a stipend index of 4.50 or higher in the previous semester to the Committee. There is no need for the students to submit an application for the tuition fee reduction. It is the student’s responsibility to check the grade average of his/her closed semester before the registration period.